Yemeni civil society organisation the Sister’s Arab Forum for Human Rights completed their workshop on Women and Peace in Yemen and Strategic Planning in Alexandria today. The four-day workshop was organized by the Arab Sisters Forum for Human Rights in cooperation with the Swedish Institute in Cairo and Karama. The workshop aimed to continue the dialogue that began in July 2017 on the participation of women and their impact on the peace, security and reconciliation process in Yemen. The twenty-five participants included academics, politicians, artists, journalists, human rights activists and representatives of civil society. 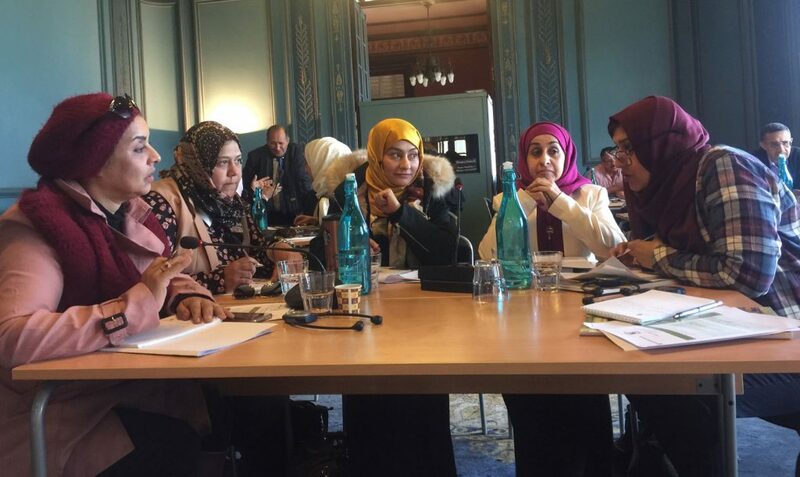 The conflict in Yemen has taken a particular toll on women, and the workshop looked into the issues relating to women, peace, and security agenda. Topics included “the situation in Yemen and its specificity in the international, regional and national context”. Peace, Peace Preservation – Lessons Learned and a New Approach “and “Humanitarian Challenges – International Humanitarian Law and Human Rights”. The workshop was divided into two parts, one dealing with peace-building, and the last two days of strategic planning to transfer the knowledge of the first two days to a plan of action.